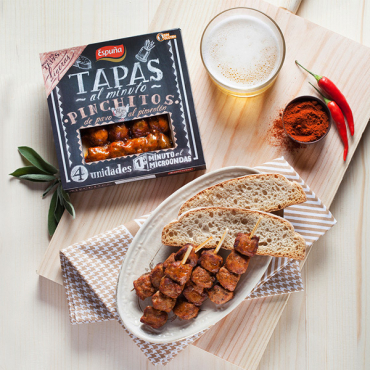 The most exquisite hot tapas, ready in just less than a couple of minutes in a microwave, will avoid you to work in the kitchen. To be enjoyed while snacking in company, as a couple or just as a treat by yourself. 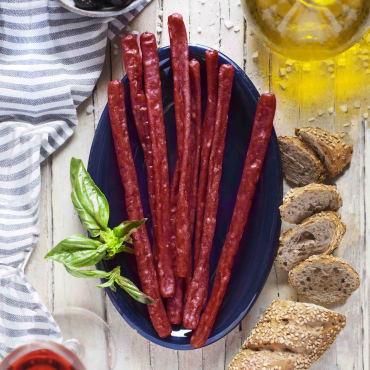 These following appetizers can be enjoyed at any time of the day: Mini-Chorizos, a variety of Brochettes, Rolled Tapas and more. All easy, quick, convenient, clean and very, very tasty.